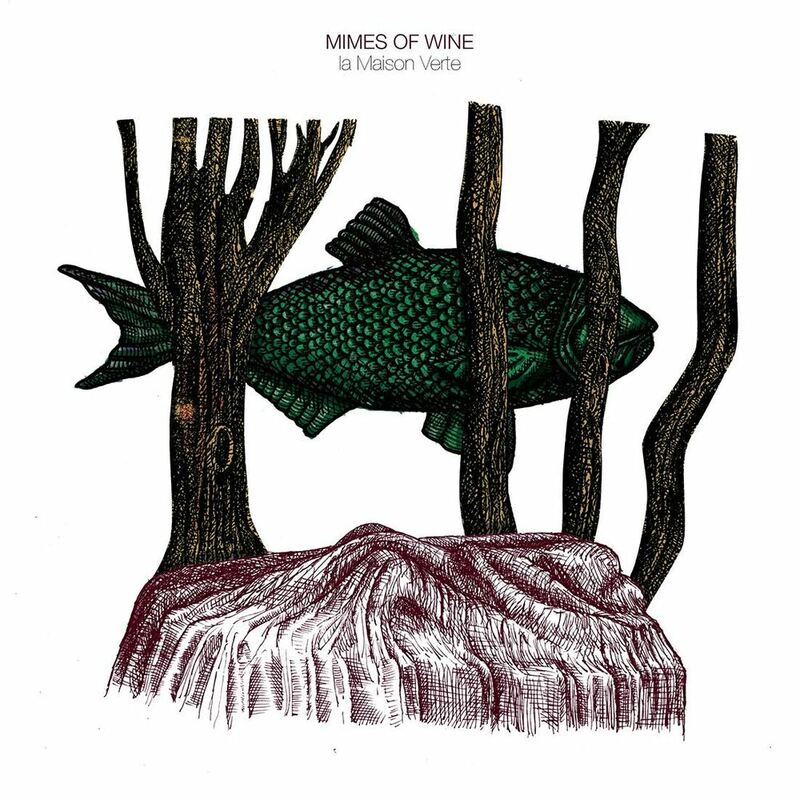 From the chord progression to the lyrics to the music video itself, everything about Mimes of Wine’s “Birds of a Feather” feels out-of-focus. A darkness shrouds this naked, hauntingly beautiful and fragile song, adding weight to a piece that starts out as light as a… well, feather. 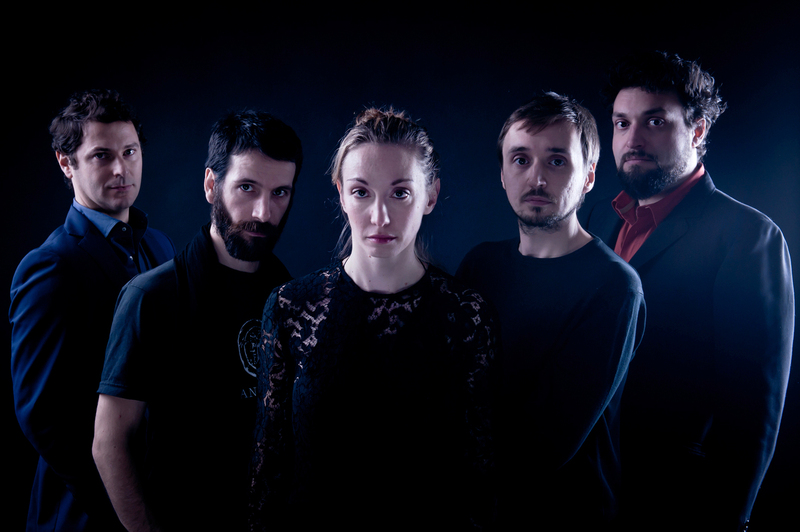 Laura Loriga is the Bologna, Italy-born vocalist, songwriter, and pianist behind Mimes of Wine. A spark of creative genius rests behind her eyes, and she brings every ounce of that brilliance to her band’s latest song. “Birds of a Feather,” which Atwood Magazine is proud to be premiering today, is the first single off Mimes of Wine’s upcoming third record La Maison Verte, out 6/10/2015 via Accidental Muzik. Add the music to these words, and Mimes of Wine will actually take your breath away. The deeper nature of this song is not as important as its multitude of interpretations. “Birds of a Feather” comes from a dark place – a place so intense that Loriga cannot look her subject matter squarely in the eye, but must instead cut around it in an attempt to grasp at its core. What is death? What does it mean to us small, fragile beings to know of our imminent demise? Death is as real to us as the sun in the sky – they call the rising sun / that molten eye above. Loriga’s words are hauntingly vivid; they fall hard upon the listener as she examines (or seems to examine; again, this is one interpretation) life upon the moment of death. The scene is tragic, yet Loriga’s voice does not waver; she maintains poise as she creates a world where “the battle’s sway lingers and holds,” although it is evident the battle is over in this instance. She speaks elusively and ambiguously, dancing delicately around her subject. That deliberate withholding makes the song all the more provocative: Loriga’s willingness to be vulnerable, but not to submit the full extent of herself to the listener masks “Birds of a Feather” in a sheath of enticing mystery. Everything is just out of reach and out of focus. The “Birds of a Feather” music video is similarly out of focus, primarily characterized by blurry lights and darkness. Oddly-angled shots of Loriga’s face create an uncomfortable air of tension that amplifies the song’s deeper meanings. Fear is a powerful thing. Fear drives us forward, but it can also tear a soul apart. Fear makes us avoid the toughest subjects. But fear isn’t Mimes of Wine’s driving force. “Birds of a Feather” is much more than that. It is an attempt to grasp an incomprehensible situation, and put meaning and feeling and human emotion to it. How does one ascribe human emotion to death, which is so obviously and innately human, yet so foreign and unknowable at the same time? The music video catches the humanity of the situation, but answers few questions and posing more in the process. And so we return to the poem. “The flock will be like a thin line, upon the mountain standing bright, led and gone as birds of a feather… They call the rising sun.” Loriga’s poignant poetry to describe the mortal transition is graceful and masterful: Her description brings a solemn scene to life. Life is fragile and delicate, beautiful and harmonious, fleeting and infinite. We don’t know about the unknowable, and we never will – but one thing binds us all together, like birds of a feather: Our humanity. May we as individuals seek some sort of peace in sharing the burden of our humanity with every other human on this planet. With one song, Laura Loriga and Mimes of Wine completely get under your skin. “Birds of a Feather” is wonderfully out of focus: Is it about death? Warfare? Other struggles? We may not fully comprehend “Birds of a Feather,” but its beauty is nonetheless palpable on an instinctual level. Don’t miss this incredible song, and be on the lookout for La Maison Verte, out 6/10/2016!